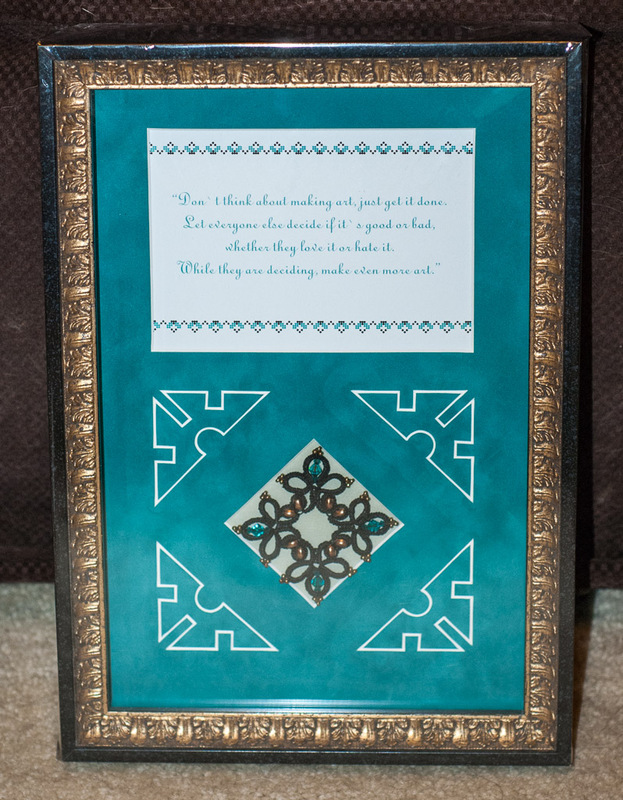 This piece was specially made and given to me by the people of MolDeco. 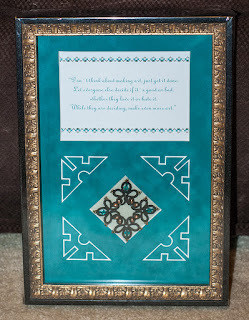 They found a quote I will cherish forever and framed it up with a beautiful piece of tatting, and mat in my favorite color, and a frame that ties it all together in a great statement. I was overwhelmed when I received this, and I still am. Over the past couple of years they have become great friends who bring my work to life. I am going to miss going to the shop nearly every week, talking with everyone, and seeing all that they have made fantabulous. It is one of the harder things about leaving the country. All I can say is thank you, and I hope to live up to the quote in other places. What a lovely thing for them to have done!